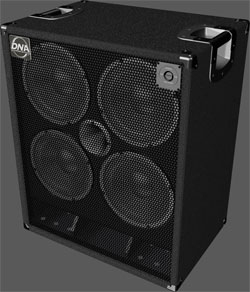 DNS-410, Bass Guitar Speaker from David Nordschow Amplification. 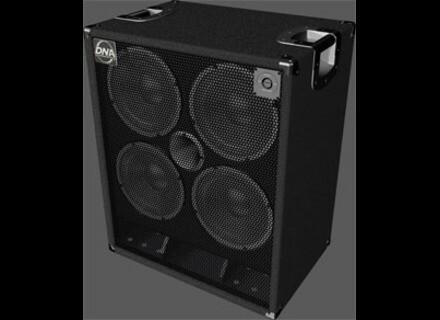 David Nordschow Amplification (DNA) announced the launch of its speakers designed for bass guitars and double bass instruments. The full product line was presented in a musician showcase at the Music Garage in Chicago, Illinois on May 21, 2011. The DNS Series currently comprises 6 models, from the 1x10” to the 4x10” with power ranging from 350W RMS for the former, up to 1400W RMS for the most powerful. All models are equipped with the brand's woofers and tweeters, as well as a SNAGG chip. DNS-410 : 4 DNL10XT woofers and DNT14N tweeter with 2-way crossover, 1400W RMS (2800W Peak) @ 4/8 Ohms, with 106dB sensitivity, 137dB max SPL and 37Hz - 14kHz frequency response. For more details, pay a visit to dnaamps.com/products/cabinets. LeCompte CPM - Charlie Padilla Maqueo Signature LeCompte Electric Bass has joined forces with bassist Charlie Padilla Maqueo, from the Mexican rock band ELAN, for a new signature model. Tech 21 Characters Series VT Bass Deluxe Review Following the Red Ripper, let's check out the new VT Bass version released by Tech 21. The unit is a preamp in stompbox format. It simulates the sound of the legendary SVT amps from a manufacturer whose name is unnecessary to mention. since you are all very cultivated. Many AF members have praised this system in the forums and asked for a review of the Deluxe version. That's why we decided to try it out and give you our opinion.